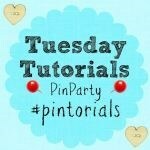 It’s time for Tuesday Tutorials Pintorials Pin Party once more! Hooray! It’s Spring time! Let hope the weather is going to be good for us! 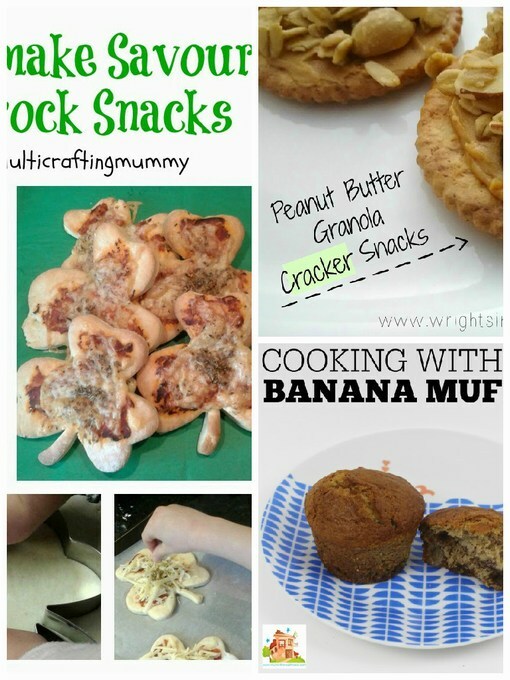 This week I am featuring snacks for kids! Multicraftingmummy made this gorgeous savoury shamrock snacks for St. Patrick’s Day! These look so delicious! Next wrightsimple made a quick and easy peanut butter granola cracker snacks. These are fabulous finger foods and would be great for a party. Lastly, muminthemadhouse made delicious and healthy banana muffins! I think this would go down well in our house too! Don’t forget to pop by to take a look at Kate (St Patrick’s day activities), The Boy and Me (children crafts inspired by nature) and Hodge’s (10 rainbows craft for kids) blogs to see who is featured this week.